Sarwar Ali Khan | TPL Trakker Ltd.
Sarwar Ali Khan is associated with TPL Trakker since 2016 and is currently working as CEO Trakker. He has over 10 years of experience with local & international companies namely, Accenture, Samsung & National Bank of Pakistan. He is known for his expertise in strategy formulation and cost optimization. Before joining TPL Trakker he was Global Strategy Manager, Samsung Global strategy group. His Go to Market Strategy for new service offering for Samsung, led to an acquisition of USD 200m of a leading industry player at that time. His major achievements include development of 10 year corporate vision for Samsung’s IT subsidiary. 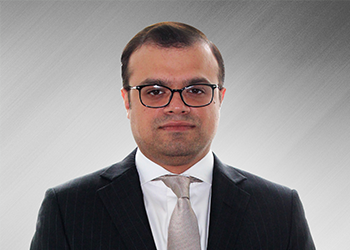 As AVP National Bank of Pakistan, he established business analysis department and led a team of 10 analysts to provide technology solutions to business need. Sarwar holds an MBA degree from INSEAD and BS Computers Science degree from University of Wisconsin. Looking for a trakking solution? ?